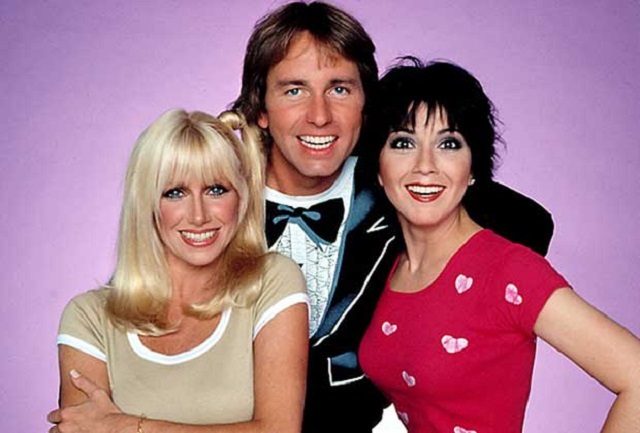 Joyce DeWitt of Three’s Company sitcom has been in the acting scene for more than four decades. A true thespian, she has several stage, film and TV credits which establish her as a versatile and talented actress. Unlike some celebrities who stumbled upon fame, DeWitt has unarguably worked her way to the limelight. Find out lesser-known facts about the actress and philanthropist. A native of West Virginia, Joyce Anne DeWitt was born on April 23, 1949. The actress and her three siblings were raised by parents Paul and Norma Dewitt. Joyce is of mixed ethnicity as she has paternal Dutch roots and maternal Italian roots. Though born in Wheeling, DeWitt grew up in Speedway, Indiana. DeWitt’s theatrical inclinations were evident from a young age. During her teenage days at Speedway Senior High School, she was an active student. She not only participated in several school productions but was also part of the cheerleading squad. By the time Joyce was done with high school, she was already sure of what exactly she wanted to study in college. However, her choice of an acting career wasn’t a walkthrough as she had to first convince her parents who were originally against the decision. Thankfully, she successfully scaled that hurdle of life and proceeded to study theatre at Ball State University. Thereafter, DeWitt bagged a masters degree from the University of California, Los Angeles (UCLA) in 1974. Prior to her career as an actress, DeWitt first worked as a secretary. After a few film auditions, she landed her first role in 1975, making her screen debut in an episode of the series Baretta. Given her outstanding performance in the ABC series, Joyce soon landed other roles. Her next role was in the series Most Wanted. After that, she got two subsequent job offers and had to make a difficult decision of choosing one of them. One of the two choices was a role as roommate Janet Wood in the hit comedy series Three’s Company which turned out to be her most acclaimed project so far. Besides Three’s Company, Joyce has other screen credits such as With This Ring, The Ropers, Supertrain, The Love Boat, Call of the Wild 3D, Finder of Lost Loves, Spring Fling! and Airplane II: The Sequel. Though she has more credits on both the small and silver screens, Joyce still loves to appear on stage. More recently, she starred as Ethel Thayer in the 2017 play On Golden Pond. DeWitt may no longer be in her prime as an actress, but she remains passionate and active in the entertainment industry. Joyce DeWitt may not have a plethora of roles as expected of one who has been in the industry for over four decades. Nonetheless, her features on stage, film and television speak volumes for her. Joyce’s most prominent role so far is undoubtedly that of Janet Wood in the hit series Three’s Company where she earned no less than $30,000 per episode. A few years later, DeWitt also took a self-imposed long hiatus from acting but returned to grace our screens again in the 2000s. 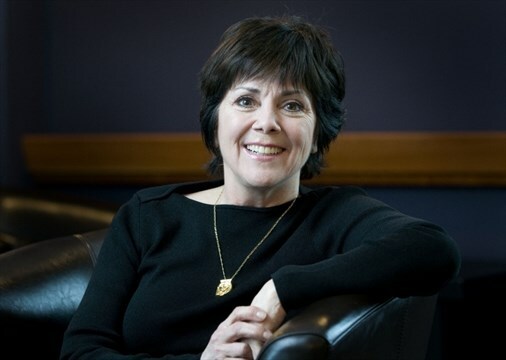 While her exact earnings are unknown, Joyce Dewitt has sure done well for herself in the ever competitive entertainment industry. Her current net worth is estimated at $7 million. Interestingly, DeWitt is one of those who spend their wealth and time on philanthropy. She is known to have participated and volunteered for different charitable causes both at the grassroots level and on a global scale. There is information readily available regarding Joyce DeWitt’s career but she prefers to keep her personal details under wraps. Right from her early career days, she has always been known to shy away from public glare. However, DeWitt is believed to have once been married to actor Ray Buktenica. The romantic relationship between the two actors reportedly dates back to her college days at UCLA. They quickly established a romantic bond and began co-habiting. Since there are no official records to the contrary, some people believe DeWitt and Buktenica were never married but just partners living together. The former lovers were in a seven-year-long relationship (1979-1986) before their love went down south. After their separation, DeWitt later revealed why things didn’t work out between them. According to the actress, she and Buktenica fought constantly to the point that completely eroded her self-esteem and self-confidence. She further described their time together as living in a self-made big cell and vowed not to make a fool of herself living in terror and loving any other man the way she did with Buktenica. As expected, Joyce wasn’t the only one on the defensive line as Buktenica also fired some shots, insinuating that Joyce wasn’t a loyal lover but one who only craved freedom from commitments. Before Ray Buktenica, DeWitt was romantically linked to LeVar Burton in 1980. Other than these, Joyce has done a good job at shielding details of her personal life away from the public. Since she has not been linked to anyone else after Ray, it is safe to say DeWitt has not remarried and does not have any children…, until proven otherwise. Dewitt who currently resides in both New Mexico and California is presumed to be living her best life.